Do you have the basic fitness level required of the US armed forces? 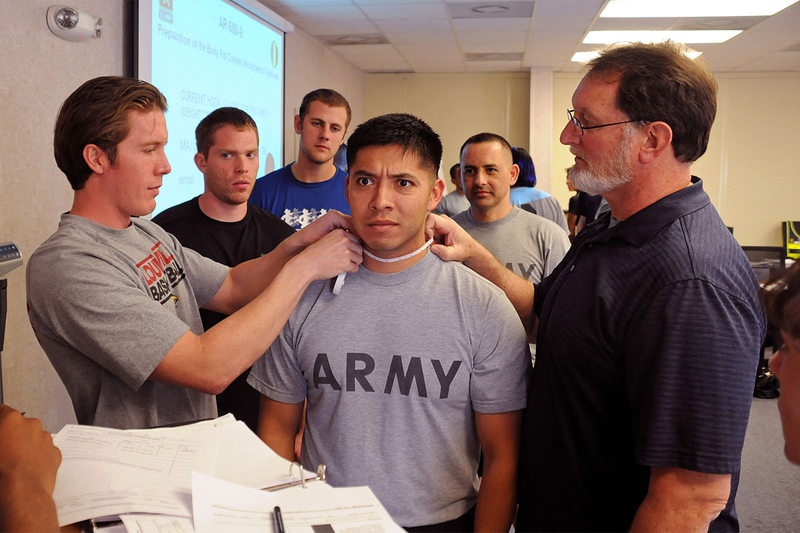 Have you ever wondered what the PT (physical Training) tests involve? I’ll go through each of the 4 main armed forces tests and then give you a challenge. I have never been in the military, so doing the research for this article has been very enjoyable. Some of my sources may not be accurate or complete, if you have more information or corrections please let me know in the comments. I will go in alphabetical order so you don’t think I have some kind of bias. For each of the divisions of the armed forces I listed the minimum possible score to pass. I also listed a calculator so you can put your own numbers in to see where you are at. Keep in mind the DoD (Department of Defense) goal for body fat is 18% for males and 26% for females. Pick one of the above and go for it. If you don’t pass, give the 12 week training guide a try and then retest.